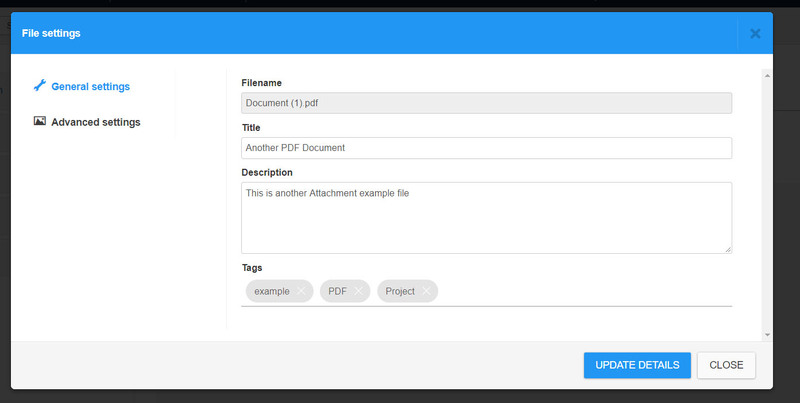 CW Attachments offers a tagging system to organize files and whole folders for further filtering. 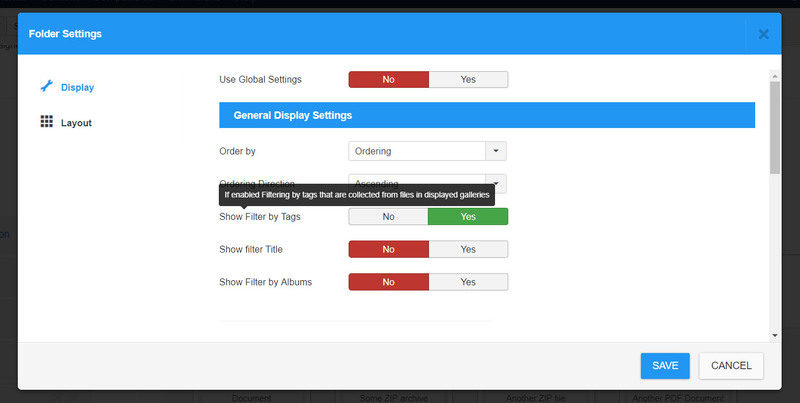 Tags can be added by simple typing and choosing the autocomplete offers of already existing tags. If you want to add a new tag, just use ENTER key to set the tag. You can also decide to show / hide the filter title "Tags:"
Folders can be tagged for filtering on frontend view of Folders menu item.